Circuit Playground App Update – Magnetic Pole Detection « Adafruit Industries – Makers, hackers, artists, designers and engineers! Warning: Strong magnets can permanently damage your device. To avoid damage, do not place rare earth magnets less than 8cm away from your device. 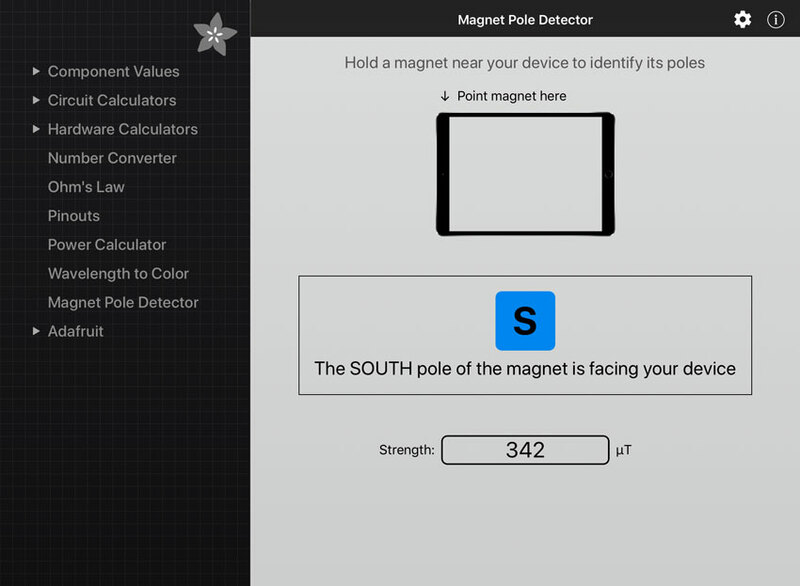 To detect a magnet’s pole, hold the magnet stationary about 30cm away from your device’s sensor position (as shown in the image). Slowly bring your device closer until a North or South polarity is displayed. Head over to the App Store to grab the latest version of Circuit Playground. Note: We wanted to add this feature on the Android version of the app as well, but unfortunately the magnetometer locations varied too greatly between devices.